The Minister for Transport, Infrastructure and Climate Change, Stewart Stevenson, today announced the appointment of Grenville Johnston as Chair of Highlands & Islands Airports Ltd (HIAL). "This is a key role, and I am delighted to appoint Grenville as the new Chair of HIAL. His strong commitment and dedication to the company; knowledge of the Highlands and Islands and proven leadership skills demonstrated during his term as interim Chair will be invaluable to the company going forward. "The challenges facing us all in the public sector and also in the aviation sector are many and HIAL will need strong and determined leadership to maintain and develop the business for the benefit of the communities it serves. Grenville's proven track record in the private and public sectors show he is the right person to lead the company to face the challenges ahead and to provide the direction it needs to move forward." Mr Johnston, who lives in Elgin, served as a non-executive Director of HIAL from 2001-2008 and as interim Chair from February 1 2009. He was formerly senior partner/consultant with Johnston Carmichael; Chartered Accountants based in Elgin and was President of the Institute of Chartered Accountants of Scotland in 2000-01. Mr Johnston is currently Chair of Caledonian Maritime Assets Ltd and of Cairngorm Mountain Ltd. As Chair of Caledonian Maritime Assets Ltd, he receives a daily fee rate of £337 for a minimum time commitment of three days per month. As Chair of Cairngorm Mountain Ltd, he receives a daily fee rate of £400 for an expected three days per month. He is also Lord-Lieutenant of Moray. Mr Johnston said: "HIAL has many challenges to face in the next few years as the airport industry has not been immune from the recent downturn. But I believe that we can use these challenges to improve our service and commitment to passengers and the airlines that carry them. I am delighted to be able to help HIAL as Chairman." Mr Johnston's interim appointment began on February 1 2009 and was initially for eight months. The Commissioner for Public Appointments in Scotland approved the extension of the interim appointment for a further six months, from October 1 2009 to March 31 2010. This appointment will be for three years and will run from April 1 2010 to March 31 2013. This post is part-time and attracts a remuneration of £21,880 per annum for a minimum time commitment of 6 days per month. Highlands & Islands Airports Ltd (HIAL) is a public corporation and is wholly owned by the Scottish Ministers. The Company operates and manages 10 airports in the Highlands and Islands at Barra, Benbecula, Stornoway, Campbeltown, Islay, Tiree, Inverness, Wick, Kirkwall and Sumburgh and facilitates access to, from and around the region for a range of people in pursuit of business, health, welfare, leisure and social objectives. In addition, HIAL took over the operation and management of Dundee Airport at the end of 2007. All of HIAL's airports are vital to the social and economic welfare of the areas which they serve, are loss making and are supported by subsidies from the Scottish Government. Issues considered by the Board include security, safety and operational matters, commercial and route development, financial management, risk management, regional priorities, pay and pensions. The Company also administers the Air Discount Scheme (ADS) on behalf of the Scottish Ministers. The purpose of the ADS is to give remote communities in the Highlands and Islands the air services that they need to support economic development, accessibility and social inclusion, at an affordable price for residents. This Ministerial public appointment is made in accordance with the Commissioner for Public Appointments in Scotland's Code of Practice. All appointments are made on merit and political activity plays no part in the selection process. However, in accordance with the original Nolan recommendations, there is a requirement for appointees' political activity within the last five years (if there is any to be declared) to be made public. Mr Johnston has not been involved in any political activity in the last five years. The Scottish Government will join millions across the world in switching off lights for one hour from 8.30pm on Saturday night to mark WWF's Earth Hour in a gesture of support for action on climate change. Lights will be turned off in main government buildings, although essential lighting will remain on across the estate for health and safety reasons. "The Scottish Government is delighted to back WWF's Earth Hour once again. In a year when many are still dwelling on the disappointing outcome of the climate change talks in Copenhagen, it is important that we demonstrate our continued level of commitment on reducing carbon with an initiative which has a truly global impact. "Our world-leading Climate Change Act with its target to cut emissions by 42 per cent by 2020 is challenging but achievable and in doing so we will create a cleaner, greener Scotland with a thriving low carbon economy. We are committed to leading by example and to encouraging others in the public sector to do the same. "This year, under the terms of the Act, we are required to identify actions people in Scotland can take to personally contribute to achieving Scotland's climate change targets. We will be making an announcement on this later in the year but, in the meantime, each person in Scotland typically contributes twice the global average in terms of greenhouse gas emissions produced as a result of our everyday behaviour. Small changes in our daily lives will not only help reduce emissions but can contribute towards a healthier lifestyle, improve our environment and offer real financial savings. "WWF's Earth Hour provides an opportunity to demonstrate our commitment to tackling climate change in a simple yet effective way. And I will be taking part personally by switching my lights off for an hour tomorrow night." "I am delighted to support WWF's Earth Hour for the second year in a row. It is particularly pleasing to see more and more organisations across Scotland following suit this year. "The Scottish Government is playing its part in creating a Greener Scotland. Across the estate we are doing a number of things to improve our own performance - such as implementing our Carbon Management Plan and promoting sustainable business travel. Whilst the Scottish Government aims to lead by example, we are aware that we must all take individual action to reduce our impact on the environment. "Once again, WWF's Earth Hour is giving us an opportunity to demonstrate our commitment to sustainability and raise awareness of climate change." "It is great news that the Scottish Government is again supporting WWF's Earth Hour. This year's event has really captured the public's imagination with a record number of sign-ups, including 27 local authorities which have agreed to switch off non-essential lighting in Council owned buildings and on prominent monuments. "Those taking part will join hundreds of millions across the world in over 200 cities in over 100 countries in sending a message to world leaders and decision makers that they care about people and wildlife affected by climate change." Work on the £1 billion Edinburgh-Glasgow Improvements Programme (EGIP), Scotland’s single largest rail improvement programme ever, is making good progress as preparatory work for the electrification of the railway nears completion. A pilot piling programme to test the foundations for the overhead electrification wires has been trialled at 95 sites along the length of the route between Glasgow and Edinburgh. The £950,000 contract was awarded earlier this year to Carillion plc and is expected to conclude at the end of this week. “The Edinburgh-Glasgow Improvements Programme will revolutionise the rail network in Central Scotland and I’m delighted that early work on this exciting programme of rail improvements is already well under way. “The completion of the pilot programme which finishes this week will determine where the major electrical infrastructure will be best located as part of the electrification of the railway across central Scotland. Although the complete programme of works is not due to finish until 2016, this is an important milestone which will bring a cleaner, more efficient railway. The complete programme will see services between Scotland’s two largest cities transformed, with today’s five or six services per hour with a fastest journey time of 50 minutes increased to 13 services per hour with a fastest journey time of around 35 minutes – the fastest scheduled service between the two cities in the history of the railway. Work on a £6.5m dual carriageway scheme on the A75 will be started today with a ground breaking ceremony by Transport Minister Stewart Stevenson. The A75 Cairntop to Barlae scheme, which will see a new 1.4 mile stretch of dual carriageway, will improve the access to and from the west coast ports of Stranraer and Cairnryan and support businesses, communities and tourism across Scotland. "I'm delighted to mark the beginning of this important £6.5m project to improve access to and from Scotland's west coast ports. "This Cairntop to Barlae scheme will bring significant economic and social benefits to Scotland, including sustaining 30 jobs during the construction period as well as supporting plans to relocate Stena's port to Cairnryan, further developing the area and ensuring connections from Cairnryan north and south are not only retained, but enhanced. "This investment will also provide better overtaking opportunities, helping traffic flow along the length of the route, meaning quicker and safer journeys for communities, tourists and freight traffic alike. "The Scottish Government is committed to improving links across the country and this is one of a number of key projects planned for the A75 and A77. We have recently invested £29m in these routes with a further £60m earmarked for eight more projects in the coming months." The twelve month long contract will see a new eastbound carriageway constructed on the site of a disused railway line, with the existing A75 set to become the new westbound route, giving both east and westbound dedicated safer overtaking opportunities. Transport Minister visits Grampian Police as officers take to the streets. GRAMPIAN Police is increasing the number of officers on bicycle patrol in communities across Aberdeenshire after a funding boost helped secure new specialist bikes and support equipment. Transport and Climate Change Minister Stewart Stevenson will be at Grampian Police's Aberdeenshire Division headquarters in Inverurie this afternoon as officers take to the streets on seven new purpose-built Smith & Wesson police mountain bikes which are a robust yet lightweight design capable of withstanding tough conditions and meeting tactical-policing needs in rural areas. The bikes, which are especially made for use by the emergency services, provide officers with an increased visibility within their local communities and come with built-in features including a torch and panniers for carrying safety equipment. Regional transport initiative Getabout has supported the initiative with a £5,000 donation which will also provide safety and maintenance equipment, tow bars and cycle racks which can be fitted to police cars for deployment across the area. It brings the total number of Grampian Police bikes in action across Aberdeenshire to 23. Chief Superintendent Mark McLaren of Grampian Police said: "Being visible and accessible within our communities is important to us and we know that people like to see us out and about on pedal cycles as it creates opportunities for better engagement which sometimes, is not always possible when officers are travelling in vehicles. "The big advantage here of course is that our staff like to use the bikes too so this is a bit of a win/win situation. This is a great opportunity for us as not only do the bikes offer health and environmental benefits, they also have the added advantage of sometimes, being able to quickly get into areas that aren't always immediately accessible by cars. "In Aberdeenshire, we have already successfully deployed officers on bikes at a number of major events such as the Braemar Gathering as well as regular patrol work. With the support of organisations such as Getabout and other community safety groups however, we have a real opportunity here to extend this initiative even further and to get closer to our communities where we can." Earlier in the day, pupils from Inverurie Academy will get to see the police bike's capabilities at an event at the school with an appearance by the Endura cycling team which includes 2009 Scottish Road Race Champion Ross Creber and Commonwealth Games bronze medalist James McCallum. The Getabout partnership includes regional transport partnership Nestrans, Aberdeen City and Aberdeenshire Councils, the NHS, the University of Aberdeen, Robert Gordon University, Aberdeen College and the the Energy Savings Trust. It was launched in April 2009 to promote the benefits of avoiding single-occupancy car trips when possible and instead travelling by bus, rail, bicycle, foot or car-share. Getabout co-ordinator Donald Kent said: "With more cars on our roads, increasing levels of congestion, rising emissions and health problems associated with inactivity, it is time for us all to look at our travel behaviour. Road safety however is vital and Grampian Police is leading by example within our communities. "We are delighted to be supporting this initiative and hope that it inspires other people to look at ways of incorporating cycling into their daily lives." The Scottish Government will insist on the extension of a High Speed Rail link from Scotland to London, following publication of the UK Government's proposals for a new fast link from London to Birmingham. On the day Westminster's Transport Minister, Lord Adonis, published his future proposals for High Speed Rail in the UK, Scotland's Transport Minister Stewart Stevenson responded by saying the facts showed that the economic and environmental case is stronger when it includes Scotland. "It is clear from today's report and from successive studies already carried out that developing high speed rail to Scotland is central to the economic case for High Speed Rail in the UK. "High Speed Rail is the natural choice for cross border travel and could see benefits of up to £20 billion for Scotland's economy. High Speed Rail between Scotland and London would make journey times of under three hours realistic and achievable, and open up rail travel beyond to the rest of Europe. "A three hour journey time would also give rail a 67% share of the market between Scotland and London, and significantly reduce greenhouse gas emissions. "The Scottish Government has developed a compelling case for high speed rail to Scotland, and it is vital that it happens. Scotland's transport future must include High Speed Rail, and we will work with the UK Government to help deliver it. "We will consider this report in detail, and Scotland's voice will be heard as the UK Government consult on their proposals later this year." Banff & Buchan MSP Stewart Stevenson has welcomed the announcement that the Big Lottery Fund is to establish FORCES in MIND a £35 million programme aimed at supporting veterans. An independent trust will be established to provide long term support and advocacy for those who served in conflicts including Iraq, Afghanistan and the Gulf War. The announcement comes as the Scottish Government announced its own funding of £240,000 over 3 years to help veterans organisations undertake projects across Scotland. “The brave men and women who join the armed forces to protect our way of life deserve all the support that we can give them upon their return to civilian life, particularly when they have been wounded or injured. “As such, I welcome these funding announcements and the impact they will have for veterans across Scotland. The Scottish Government has been determined to increase the support available to veterans through this and other announcements, which I am sure is something everybody in Banff & Buchan would support. The Scottish Government has announced a 2 per cent fare increase across the Clyde and Hebrides Ferry Services network in a move that will protect lifeline services in the face of today's tough economic climate. The increase will apply to all tickets other than the multi-journey tickets most commonly used by islanders. Commercial vehicles and coaches will be exempt. The rise is in addition to the published fares increase of 2.2 per cent which will be applied to bookings from the beginning of this summer season. "The Scottish Government is responding positively to the very real challenges on public spending which are facing us. We are taking decisions which will allow us to maintain the efficient ferry services which the public currently enjoy. "We are committed to ensuring all remote and fragile communities are linked into the wider Scottish economy. This underpins our commitment to investigating Road Equivalent Tariff (RET) as the basis for future ferry fares. "That is why we are committed to the RET pilot to consider the most effective and sustainable way to improve the affordability of ferry services to our islands. Since the launch of the pilot, we have seen a significant increase in the number of visitors, family and friends and businesses visiting the Western Isles." Other efficiency measures include a timetable change to NorthLink's Aberdeen to Orkney and Shetland routes to ensure more fuel efficient running. This will mean a revision to the current timetable with precise details to be finalised shortly. Discussions will continue with NorthLink about further opportunities for efficiencies, particularly during the winter when there is a large amount of unused passenger capacity on the Aberdeen-Lerwick route. The fare changes on the Clyde and Hebrides ferry services will start on March 26 to coincide with the start of CalMac's summer timetable. The timetable change to NorthLink's Aberdeen to Orkney and Shetland routes will involve ferries running on two engines instead of four for the length of the journey. This drop in capacity will increase journey times. The Scottish Government is providing record levels of support to Scotland's lifeline ferry services, some £103.1 million in the current financial year and some £105.0 million in the next financial year. These compare to a figure of some £91.4 million in 2006-07. Scotland’s biggest new railway project in half a century began making tracks today (Monday 8 March), with the installation of the first length of rail completed on the new 15-mile Airdrie and Bathgate link by Network Rail director, Scotland, Ron McAulay along with MSPs Fiona Hyslop, Karen Whitefield and Mary Mulligan. The tracks, laid just to the west of Bathgate station, will link with the existing Bathgate to Edinburgh and Airdrie to Glasgow lines by autumn this year, with passenger services operating by December 2010. The track laying ceremony follows 18 months of rigorous activity clearing the route, constructing the track formation and installing new bridges, drainage and access points. Alongside the new tracks, engineers have started to install gantries which will carry the overhead lines to power the electrified trains. The months ahead will see construction work intensify further, with the remaining bridge installations being progressed, signalling installed and new stations completed. The bulk of the track will be installed by a 170 tonne track laying machine which is expected on site in May. The project is funded by Transport Scotland and delivered by Network Rail. Ron McAulay, Network Rail director, Scotland commented: “The laying of the first tracks is a major milestone for our project team and we are extremely proud of the progress we have made to date. Building a railway is a major construction project and it’s easy to underestimate the vast amount of work that has to be done before we can even begin laying sleepers and rails. Transport minister Stewart Stevenson said: “We are delighted to see the start of track laying on this vital Airdrie to Bathgate rail project. “The Scottish Government is committed to Scotland's continued economic growth, especially during these difficult times. This £300m* project, which is part of the government’s unprecedented rail investment across Scotland, will open up the central belt for new businesses, helping to connect communities and improving employment and education opportunities. 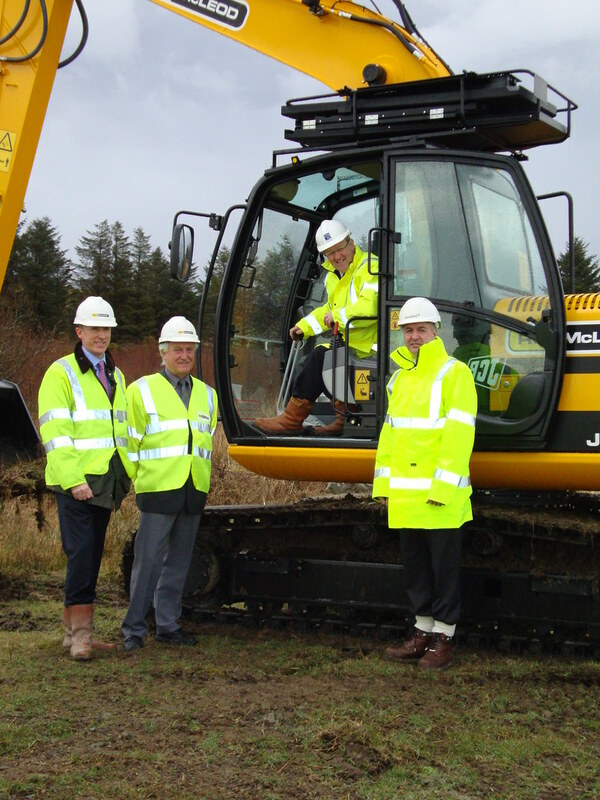 A £9 million scheme for the A77 at Burnside will bring significant benefits to Ayrshire and beyond Transport Minister Stewart Stevenson said today. The Minister was speaking at a public exhibition of the designs for the multi million pound scheme that coincides with the publication of the draft orders. Mr Stevenson said ”Earlier this week the Scottish Government set out the actions being taken across the public sector to position Scotland’s economy for recovery and boost the long term performance of our economy. Part of that strategy is delivering transport infrastructure improvements like the A77 Burnside. “By investing in our roads network we can encourage sustainable economic growth while contributing to safety improvements, reducing journey times and providing more overtaking opportunities. The £9 million improvement scheme, between Turnberry and Girvan in South Ayrshire, will see almost 2.5 miles of road realigned and widened to create new overtaking opportunities. The project, which forms part of the A77 Route Action Plan, will bring real safety benefits while improving overall journey time reliability. The exhibition, hosted by the national transport agency and its operating company Amey, was well attended by members of the public over its two-day course (Friday 5 and Saturday 6 March). All information from the exhibition is available at http://www.transportscotland.gov.uk/files/documents/projects/A77_Burnside_improvement_-_public_exhibitions_-_March_2010.pdf. Mintlaw Under 5s will receive a £50 boost when local MSP Stewart Stevenson visits the group on Monday 8 March at 11.00am at their base at Mintlaw Academy community portacabins. The Banff & Buchan MSP took part in a recent research survey being conducted by a national company which offered a small sum of money to a local good cause for his time. Mr Stevenson nominated the group to receive the funds after being asked to open their new play area last year. SNP Westminster candidate for Banff & Buchan Eilidh Whiteford will also accompany Mr Stevenson on Monday in what will be her second visit to the group. "I get approached to take part in several of these surveys each year and the organisers pay a small amount for taking part which I always donate to good causes in my constituency. "I was very impressed with the sterling work Mintlaw Under 5s did in creating their play facility which they were kind enough to ask me to officially open last year so I'm glad to be able to make a small contribution to the group." "I visited the play area last year which the group had fundraised for and it is a fantastic facility. It's good to see such community spirit in evidence from such a committed and enthusiastic group." 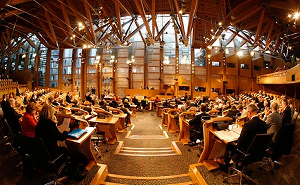 Scotland will plant 100 million trees by 2015 as part of a drive to cut emissions, the Scottish Government pledged today. The initiative represents Scotland's contribution to a global pledge made by the Climate Group States and Regions to plant one billion trees by 2015 and will result in a 3.7 per cent increase to Scotland's forest area. The group of self-governing nations and regions hopes to persuade governments, businesses and communities worldwide to plant a tree for everyone on the planet to help counter climate change. "Tackling climate change will require a huge international effort and this tree planting initiative will make an important contribution to reducing global emissions. Greater forest cover will help cut emissions through either directly absorbing CO2 or by providing more sustainable materials for construction and renewable energy. "Scotland is leading international action on climate change and the rest of the world must follow our lead. Right across the world it's important we make the changes needed to address the challenge of climate change and an increase in the EU 2020 target would represent an important step. "As a nation we are determined to make progress and achieve our target to reduce emissions by 42 per cent by 2020, while at the same time contributing to other objectives such as food security. Across the developed world, we need a cohesive approach to tackling climate change and I, like many others from around the world, want to see real progress being made." The Climate Group States and Regions was formed in 2005 and members include California, Catalonia, Quebec and Manitoba, and Scotland. Planting 100 million trees over five years is equivalent to planting 10,000 hectares per year. This compares with average levels of new planting over the period 1998-2009 of 7,000 hectares per year. The total area of woods and forests in Scotland is 1.34 million hectares and the expectation is that this will be increased to around two million hectares in the second half of the century. Work was officially begun on the Borders Railway today, triggering the Act of Parliament which states that once work is under way the line must be completed in its entirety from Edinburgh to Tweedbank. "The Scottish Government has made clear its commitment to the Borders Railway as a key part of our programme of investment - we are now delivering on that commitment. "Today the Scottish Government sets out the actions being taken across the public sector to position Scotland's economy for recovery and boost the long term performance of our economy. Part of that strategy is delivering major transport programmes like the Borders Railway. "It is therefore fitting that work now starts on a project which will provide a fast, efficient rail link connecting communities from the Scottish Borders to Midlothian and Edinburgh. When finished, the railway will act as a catalyst for economic growth right across southern Scotland, supporting hundreds of jobs during its construction. It will also increase business development and housing opportunities across the region, whilst helping promote inward investment. "Today the Scottish Government has made clear its commitment to a strong economic recovery. Equally clear is the Government's commitment to delivering this major railway investment programme for people throughout Midlothian and the Scottish Borders which will not only support Scotland's long term economic recovery, but open up those regions to rail passengers again for the first time in over 40 years." Initial indications of interest in the main contract for the construction of the Borders Railway are due to be submitted this month and a shortlist of companies drawn up to participate in a tender competition with work scheduled to begin in 2011 for completion in 2014. "I am absolutely delighted with the progress being made to deliver the Borders railway. Today's announcement is the most significant step forward and everyone can now look forward with confidence to the railway's delivery. The triggering of the Bill is a significant commitment by the Scottish Government to this project and there can be no doubt that today represents the beginning of the actual physical delivery of the line. Many Borderers will be delighted with what has taken place today and our long wait for rail services is coming to an end." A number of preparatory works - essential to the delivery of the railway, but not covered by the authority of the Act - have already been undertaken in 2009 and are continuing throughout 2010 and 2011, following Scottish Ministers' decision to accelerate funding at the end of 2008. Banff & Buchan MSP Stewart Stevenson has welcomed the publication of the latest quarterly police strength figures which show that over the course of 2009, there has been an annual increase in police officers in Grampian of 62. Since the SNP Government came to power, there has been an increase of 171 officers in Grampian Police and 1,039 officers across Scotland. “Although there is inevitably some statistical churn from quarter to quarter as officers retire and new members of the police are recruited, these latest figures are enormously positive. Since the same point in the previous year, the number of officers in Grampian Police has increased by 62, and by 171 since the SNP Government came to power. “Nationally the increase in police officers since the 2007 election has been over 1,000, delivering on our manifesto commitment well ahead of schedule. When it comes to driving down crime and making our communities safer, there is really no substitute for putting more bobbies on the beat.